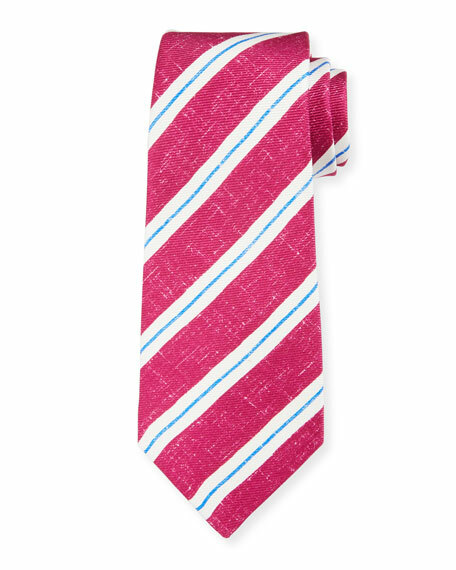 Kiton tie in linen-effect diagonal stripes. Approx. 59"L; 3.5" at widest. Silk. Made in Italy. 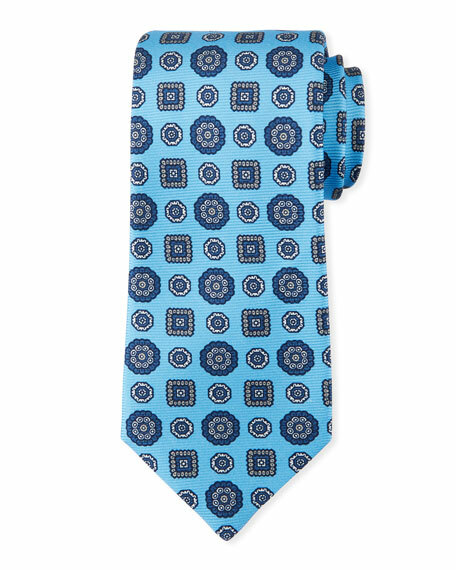 Kiton tie in multi medallion design. 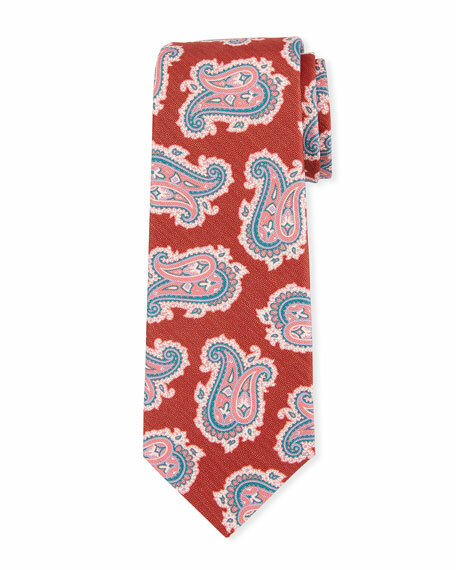 Greater than 3" wide. Silk. Made in Italy. 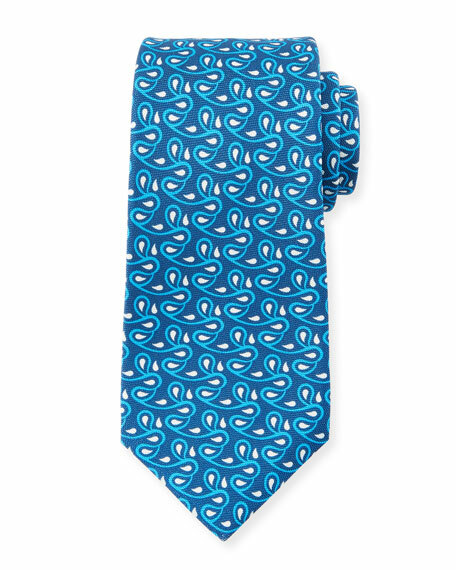 Kiton tie in printed vine design. Greater than 3" wide. Silk. Made in Italy. 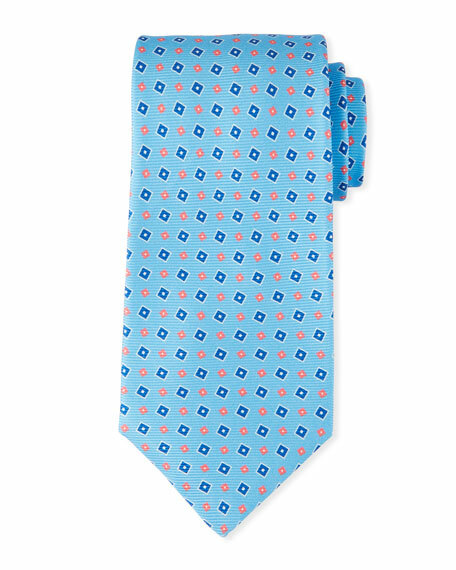 Kiton tie in tilted squares design. Greater than 3" wide. Silk. Made in Italy.